​Hometown: Linden, New Jersey, U.S.
Died: June 25, 2003 in Operation Iraqi Freedom. Unit: Army, Battery B, 3rd Battalion, 18th Field Artillery Regiment, Fort Sill, OK.
Army Sgt. 1st Class Philippe was assigned to Battery B, 3rd Battalion, 18th Field Artillery Regiment, Fort Sill, Oklahoma. Philippe and Pfc. Kevin C. Ott failed to respond to a radio check south of Balad on June 25, 2003. 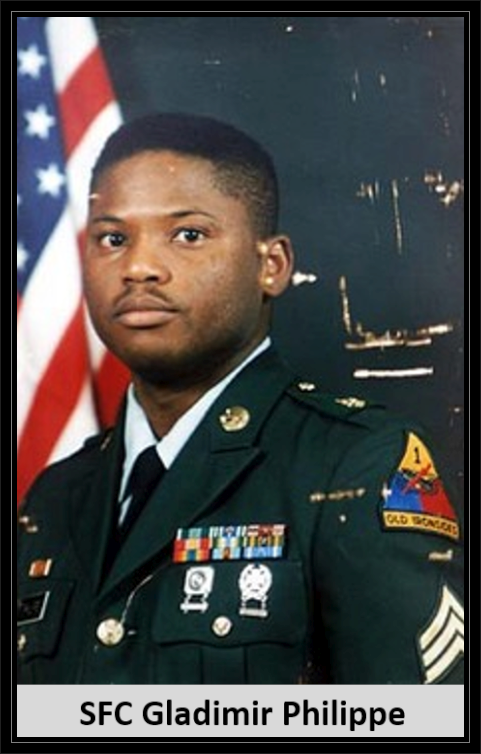 The soldiers' remains were located on June 28, 2003 in Taji. Gladimir was the eldest of nine children in a family of Haitian immigrants who came to the U.S. in 1970. He attended Elizabeth High School in Roselle and joined the Army in 1988, specializing in artillery. He served in the first Gulf War and in Bosnia before being deployed to Iraq in April. Gladimir called home from Iraq often and counseled his little brother to swear off girls and keep his head on straight. He is survived by a 10 year old son. Philippe and Pfc. Kevin C. Ott, with the same unit, had been listed as missing in action after they failed to respond to a radio check June 25 south of Balad, Iraq. A search party was sent to the location of their last radio transmission, but was unable to find the soldiers. Their remains were located in Taji, Iraq, on June 28. The eldest of nine children, Sgt. 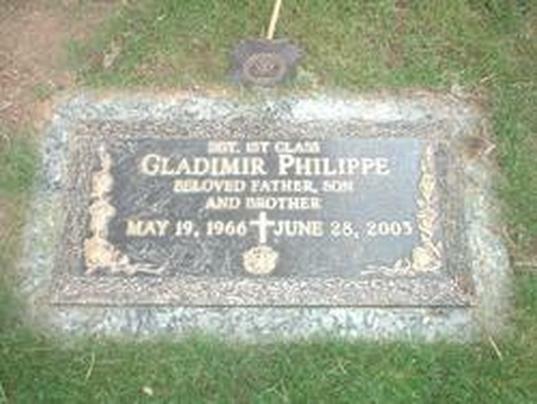 1st Class Gladimir Philippe called home from Iraq often and counseled his little brother to swear off girls and keep his head on straight. Philippe’s body and that of a fellow soldier were found May 28 near Baghdad. The soldiers were reported missing three days earlier from the town of Balad, 25 miles north of the Iraqi capital. Philippe was part of an artillery unit based at Fort Sill. He enlisted in the Army in 1988 after graduating from high school.